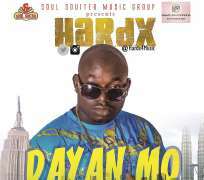 Hardx the #SSMGBoss himself is out with another banging hip hop music called "Dayan Mo" I bet if you are a hip hop lover, you can't but love this song, the song was Produced, Mixed and Mastered by Hardx himself, He promise to dish out more classic tunes this year for his fans to enjoy. Download this song and share with friends after enjoying it. Don't forget to check out the song lyrics below.